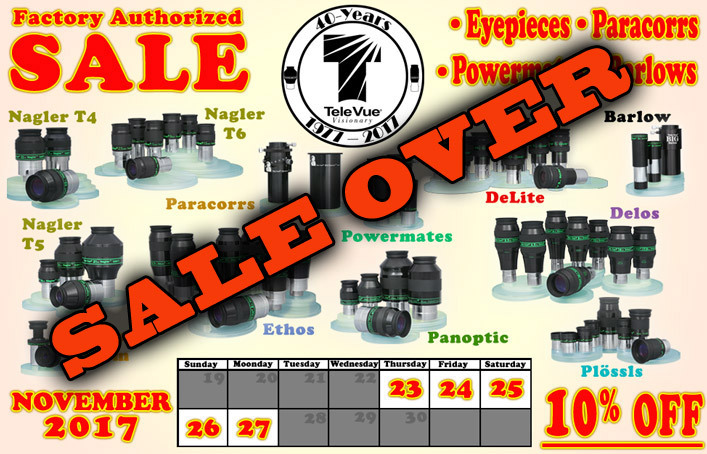 Mars Madness 2018 Eyepiece Rebate for U.S. Customers! Mars will be growing rapidly in apparent diameter in the weeks up to the big Mars Opposition on July 27, 2018. 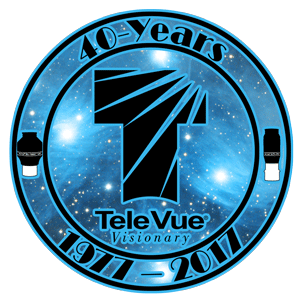 With Mars peaking this summer, Tele Vue Optics is making it easier to take a peek with rebates on 13mm and shorter focal length eyepieces for customers in the USA, US Territories, and those with APO/FPO Addresses. It’s important to understand that Mars Opposition is not a one-day event. From June 18th to September 15th – basically the whole summer – the angular diameter of the planet will match or exceed the 18.38-arc-sec diameter it achieved at the 2016 Opposition. Furthermore, the Association of Lunar and Planetary Observers notes that “Mars will exceed 24-arc-sec in diameter between July 23rd and August 9th, 2018. This is 97 percent of the maximum of 25.13-arc-sec diameter attained during the last of the ‘favorable’ apparitions, which occurred in 2003.” In fact, due to orbital eccentricity, Mars and Earth continue to draw ever-closer after this opposition, with the distance shrinking by another 111,000-miles / 179,000-km when they are nearest on July 31, 2018!